Bringing a smile back to your home! Window Pains MK focuses on quality rather than quantity, and are among the handful of companies to maintain pride in their craft, rather than becoming part of a fast-moving production operation where installers are paid by the unit. Broken glass or a blown sealed unit in double glazing, especially in a conservatory, looks ugly, increases heat loss and can even compromise home security. Ageing will cause double and triple glazing to eventually steam up, go misty and break down. Window Pains MK is extremely ethical and will repair sealed units, which costs much less than replacing them. Many broken glass and conservatory repair companies will sell you an entire replacement window unit, rather than just replacing the glass. At Window Pains MK we believe in repairing the panes, not unnecessarily replacing the frames – thus saving you money. Why do you often find blown sealed units in newer properties? There are many reasons for blown double or triple glazing. Rushed installations by organisations expecting teams to install too many windows and doors in a day cause problems – especially in newer homes. They cut corners, which dramatically shortens the window’s lifespan. Window Pains MK never cuts corners and always ensures that customers receive the best value for money. Window Pains MK can change locks and repair or replace any moving part of your door with minimum cost and disruption. Broken door glass, locks, hinges, handles, letter boxes and cat flaps compromise the security of your property, always cause inconvenience and can result in injury. As with windows, some door locksmith companies will try to sell you an unnecessary and expensive replacement, when in reality a much lower-cost repair will suffice. Window Pains MK is an ethical business: we will not sell you a replacement part if we can repair your existing component, which saves you money. We recommend that you change the locks when you buy or move to a new property. In fact, many mortgage and insurance companies insist on it. Would your insurance company fund replacement goods if an intruder stole from your home – using a door or window key to gain access? Leaking conservatory roofs and gutters require instant attention. They are unsightly and sometimes even embarrassing. If left, problems such as damaged or missing tiles, leaking conservatory or domestic roofs and broken guttering quickly become much more serious – with a price tag to match. Window Pains MK will respond without delay and make your guttering and roof watertight once again, so you can close your door in the confidence that your home will remain warm and dry. Do not leave it to fester any longer: call us and we will visit you to assess what needs to be done. Replacement windows, doors and conservatories. Window Pains MK repairs roofs and guttering throughout Milton Keynes, Northampton, Bedford, Buckingham, Leighton Buzzard, Newport Pagnell and Stony Stratford. 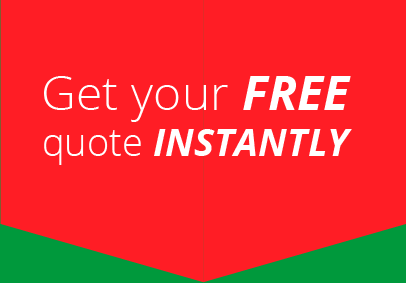 For a free estimate or advice please call 01908 828960 or email us today! "We used Window Pains MK to repair a smashed front window and ﬁx a dodgy hinge in our small bathroom window......"
"I was really satisﬁed with the level of communication and service and also the price and quote he provided....."
"Window Pains MK oﬀer an excellent service, they are professional, trustworthy & reliable. The work was completed quickly and looks fantastic!..." Find out an estimate for our top quality finishes by using our online quote tool or call 01908 828960 to speak to one of our highly skilled team directly.